If it's not CRAPPY we're not HAPPY! Here is first-time contributor Cristian N’s 1979 Centurion Omega. Cristian, I think $120 is a reasonable price for this ride, it could be a little steep considering all the work and materials you had to put into it. If you’re happy with it in the end, you did well. Spending too much time on the OTSG can sometimes leave you thinking every bike can be trash-picked, gifted from a neighbor’s garage or had for a 10-spot at a church rummage sale. Unfortunately that’s not always the case. 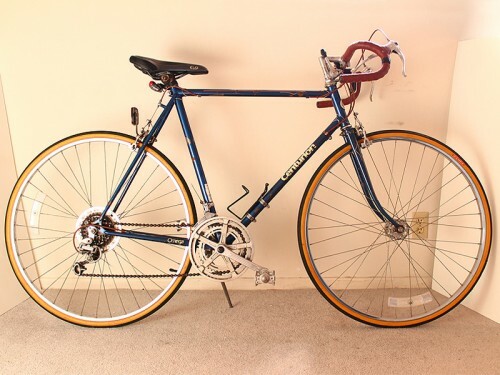 I picked up my 1979 Centurion Omega 10 speed on Craigslist Los Angeles for $120. Now I am learning through your website that this was a bit much. 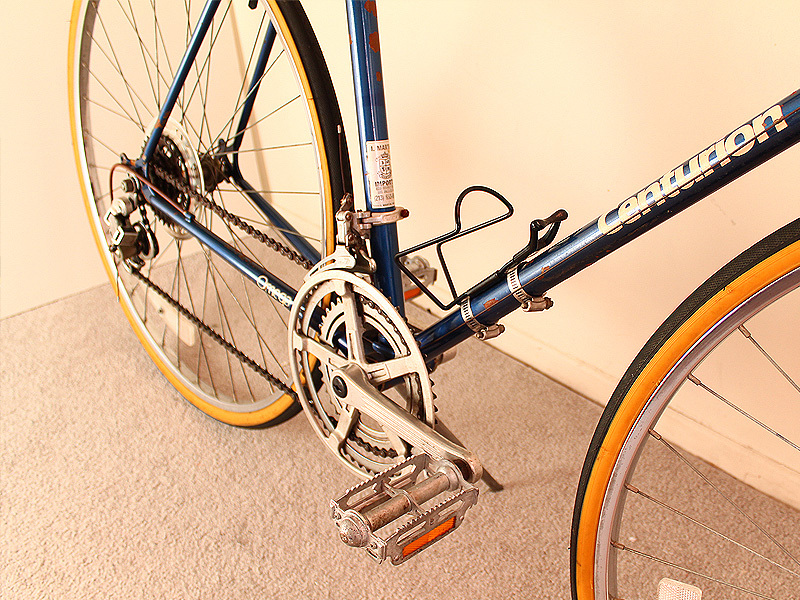 But this being my first 10 speed I had no idea about brands or what to really look for. It did ride fine during the test ride but it needed some upkeep. I knew I wanted to keep its classic look. I replaced the crusty old tries and leaky tubes. I greased up the bearings, tuned the brakes and fixed the derailleur to get all 10 speeds to work properly. 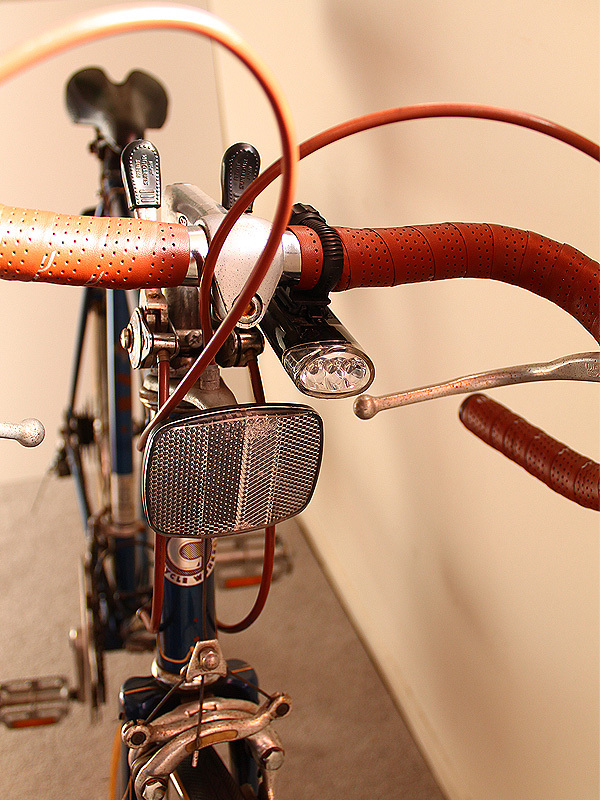 It came outfitted with SunTour components. I Changed out the dirty handlebar tape. The old original seat had to go for it was just to hard for me. The paint is chipped and the body has rust spots but that’s fine with me, for I see that as its original soul just showing through. This bike has grown on me a lot. I now ride my Centurion a few days a week around the city running my errands, to stretching my legs out or along the beach to relax. In my humble opinion, old ten speeds are like girlfriends, how much you spend on them, and whether or not it’s worth it, is really up to you. If you can see the beauty, and you feel the value is there, and most importantly, you enjoy the ride, it really doesn’t matter what anyone else thinks, you’re not gonna let’em ride her anyway . . . . . . The best bike that you can purchase is the one that you ride…opposed to the one that sits in the garage or hangs from the rafters in the barn. It sounds like you are enjoying putting around the neighborhood on your new found old classic, so I think you did well. Is there too high of a price to pay for fun and exercise? Besides all of that, what right has anyone to determine whether you did this right or wrong by how you built it up or how much you paid? As far as I’m concerned you already won by discovering that biking can be fun. You recycled something that might have been looked at as being old and useless. It’s all good–and beginning with a Centurion, a make that I love dearly….you began right where you should have, IMHO. I really do like this bike, I enjoy working on it and riding it. Its just after I got it I found OTSG where people where paying like $20 (luck them right). 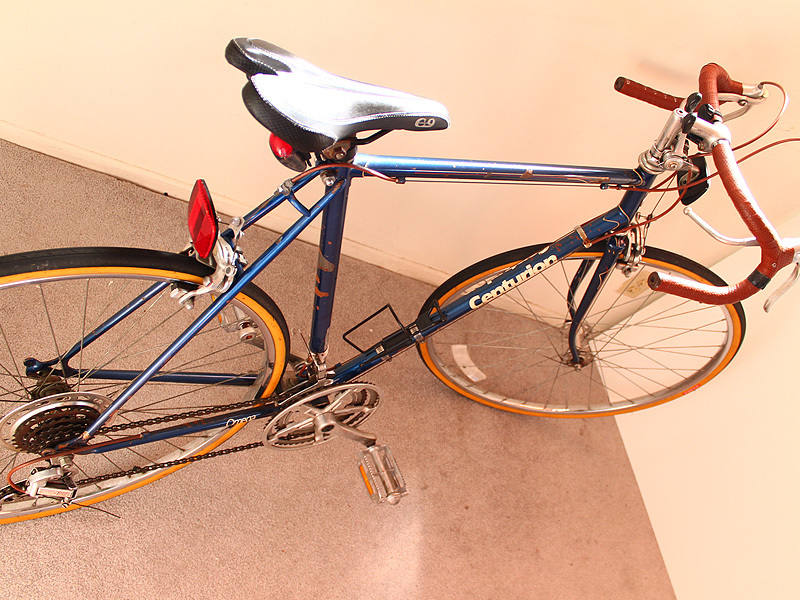 But honestly I rather much have this bike that has history than a new bike from a retail store. Thnx. I will echo what BRQ and Javaride have said- if you ride it and it makes you smile then it was a bargain! Conversely a bike picked up for a song that doesn’t fit or make you smile was no deal at all. The Centurion is a sweet looking ride btw the bar tape and gum walled tires give it a classy and classic look. Enjoy it. Christian, it is important to remember that these guys Beater and Ryan and the Good Doctor are like Bicycle Pirates. They can smell an OTS collecting dust through concrete block walls. They have a extensive network of bicycle spies roaming the countryside on the lookout for forlorn and lonely two wheeled orphans. Then when they get these bikes back to their vast underground repair facilities, they have bushel baskets of NOS arabesque shimanopanolo derailleurs and shifters and I think one of them (probably Rez) makes his own handlebars from a mixture of crystallized unicorn tears and hard looks. They are a dastardly lot but lovable all the same and without them the world would be a dreary place of Big Box Bikes and Carbone and we are lucky they are here. Meanwhile, mere mortals like you and I must get by as best we can. Me, I paid twenty bucks and a pint of rum (pirates) for my ’81 Schwinn Super Le Tour. I have over 300 in her now and I haven’t submitted her yet because despite my best efforts, she won’t quit looking like a “Before” picture. But after close to 3000 miles my love is strong and I wish you the same joy and success. After three thousand miles that initial cost will have lost all meaning and and fit and comfort and the inimitable feel of an old steel ride will be all that matters. TPC, Please don’t hold back! I love the ‘before’ pics more than the ‘after’. Remember, if it ain’t crappy, we ain’t happy! I hear and obey, O Captain, as soon as I can borrow somebody’s crappy camera and figure out how to use it. The last time I took a picture you still had to put your head under a hood and hold up a tray of flash powder. I thought that I didn’t hold back to vent something that was growing in my chest….TPC, I just love it when you cut loose. Sometimes the lil’ Poet/Master Yoda gets the best of you…and I’m all ears. Take a picture already matey! ARRRG & SHIVER ME TIMBERS I DONT KNOW WITCH ONE OF THE ELFS HAS BEEN SPILLIN HIS GUTS BUT IM HAVIN HIM HOISTED UP THE MAIN SAIL at the crack of dawn Ha ha ha !. now that thats over & done with. Cristian you have a real beauty right here on OTS. You cant put a price on happiness because it will last 4 ever. Hey Doc, I think you should submit pictures of that Ol’ Boneshaker to the Gallery…just don’t tell Cameron how many gears it has–maybe He won’t notice.